Bridge of Flowers, Shelburne Falls, Massachusetts. Always a nice place to visit. I always found the glacial potholes impressive too. Beautiful, Clueless. 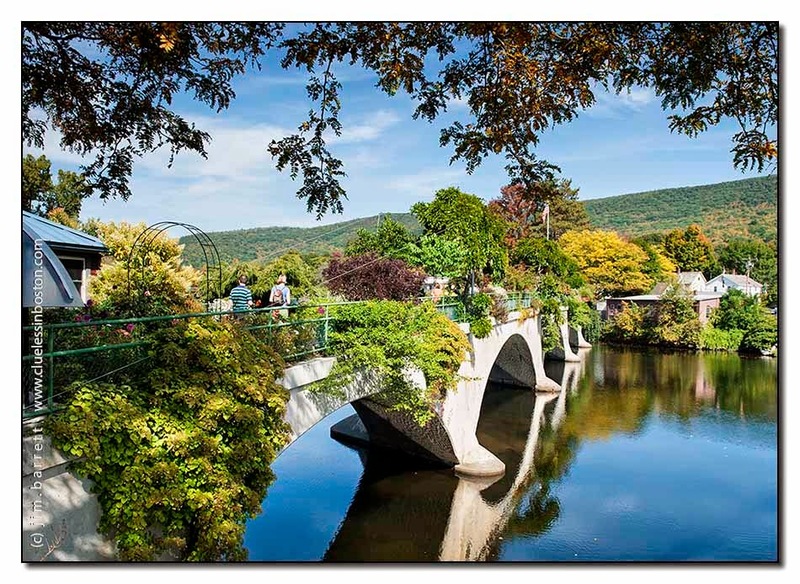 This bridge stimulated a group in Simsbury, Connecticut, to create a similar bridge of flowers. Oups, admiring those fishing shacks, I commented in the wrong post. :) Since your last post was published a while ago I hope you're fine and just out hunting for new photos. If you're ill I wish you to get well very soon.